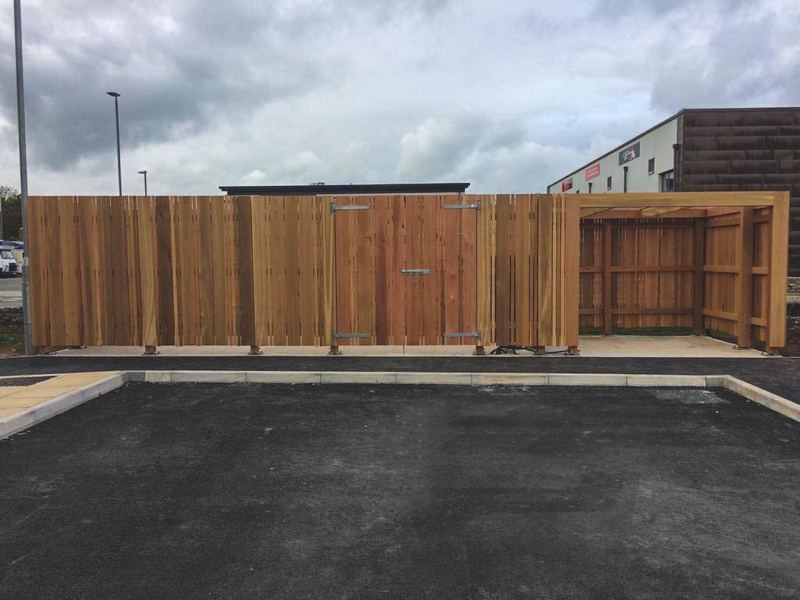 Landsctruction, being specialists in bespoke outdoor features; were approached by Dawnus Construction and asked to build a cycle store for their new development in Llangefni. 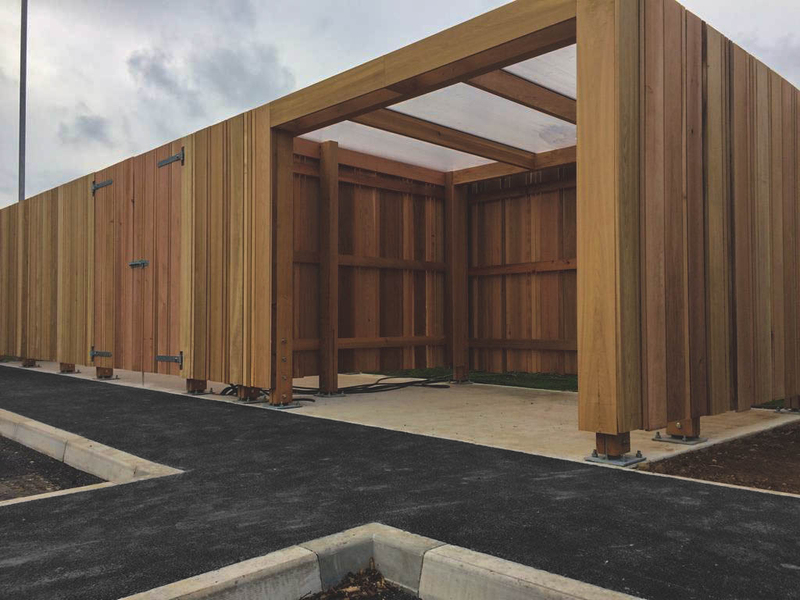 The store is made out of the finest Western Red Cedar wood, which gave it an exclusive look, making it very different to your average cycle store. With future proofing in mind, the cycle store is raised off the ground using flitch plates to prevent any rotting that may have occurred. 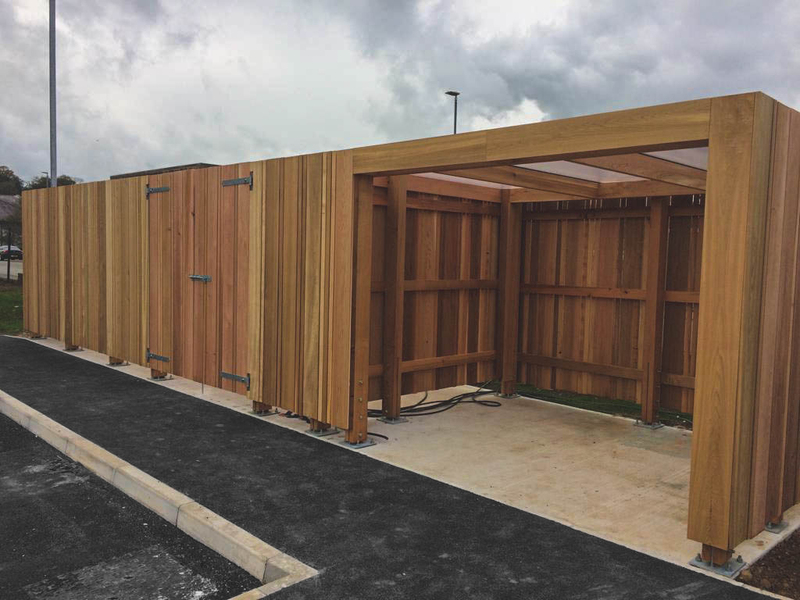 The store is finished off with a 10mm polycarbonate roof, keeping the rain out and all that is inside dry. It was fantastic to work with a company like Dawnus, who allow us to put our own twist on what is normally a very average product!